Earlier this month when I posted about Jesse Kamm a few people asked about the hat Hilary Walsh was modeling for Kamm's Spring/Summer 2013 collection. 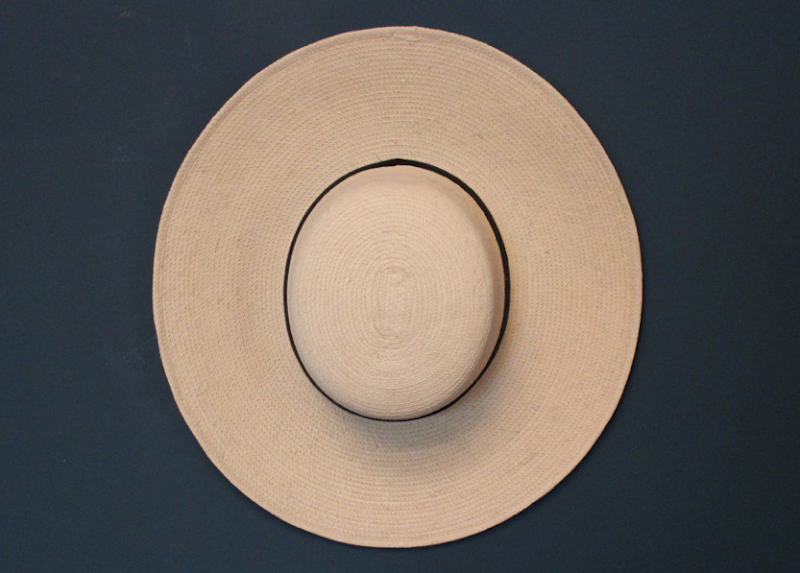 I had no info on the hat, but a determined reader decided to dig into the deep corners of the internet to find that flat-brimmed palm leaf goodness. With multiple searches and a hyper Nancy Drew-like intuition, the hat was hers. Cut to last weekend when I was photographing Coryander Friend on a Sunday afternoon; in walks Meghan Czerwinski, the finder of the hat! IT'S A SMALL WORLD, PEOPLE. Meg simply proves that where there's a will and a Wifi connection, anything is possible. She somehow through various searches landed at The Crazy Crow Trading Post based in Pottsboro, TX. They have a lot of cool stuff including a whole section for muzzleloading supplies (!). 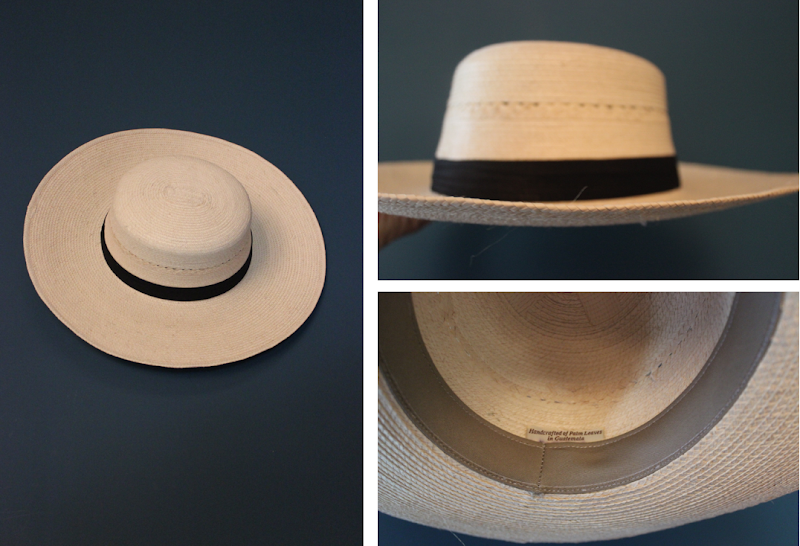 So, without further delay, let me present The Espanola Palm Leaf Hat ($22). They're hand-made and signed in Guatemala from palm leaves. I'd order 1-2 sizes up as they can run a little snug. This hat is the butter of the summer. I'm taking mine to Joshua Tree this weekend! Just ordered one for my road trip across the US to Maine. I think their store is about to get an influx of orders. 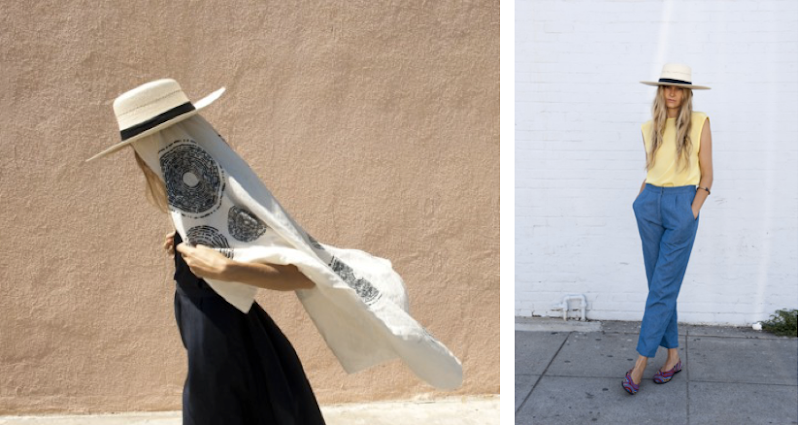 that indigo upstate kimono and this hat--the perfect summer uniform! This hat is kind of perfect. And I love that it's so affordable! Am ordering this hat immediatamente. Delish. Affordable AND stylish as all heck? Count me in. I've worn these for 35 years. I sold them at my shop in London. Then I found them again right when I thought they had disappeared. they last forever, and eventually become dry and brittle, but truly only after years. And yes, the are individually signed...always have been.